I am pretty amazed at the stuff I read nowadays. 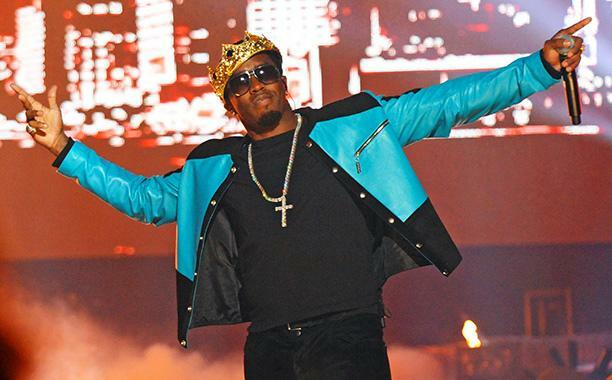 Puff Diddy is starting a school and getting all around swell guy Dr. Steve whatever to manage it. You know, Dr. Steve is the guy who manages to make 100% of those who complete his other charter school to go to college. He does that the old fashioned way, by dropping every single person who isn't going to college out of his program. So this is a win-win. It gets Dr. Steve attention, and Diddy gets to be in charge of a school or something. I, for one, hereby promise to give Diddy's next album every bit of attention I gave his last one. After all, I'm doing that for fellow charter school guy Pitbull too, so why not? One cool feature of Diddy's new school is that there aren't gonna be any teachers. Instead, there will be "illuminators." Except, of course, in math, where they will be "denominators." And if the kid doesn't pass a test, in which case there will be "dementors," to quickly relocate said kid to the public schools from which Diddy is graciously saving them. Anyway, a friend of mine is thinking of joining. He told me he wanted to be the gym illuminator. Then he asked me what the difference was between being a teacher and being an illuminator. I could only conjecture, as I've never had any experience being an illuminator. After over thirty years, I'm still just a lowly teacher. One difference, I supposed, is that there would be no due process for illuminators. After all, Dr. Steve is not really a tenure sort of guy. Maybe they have yearly contracts, or maybe you can be fired for a bad haircut. Who knows? And anyway, the illuminators are not really the draw here. The important thing is the chance to see Diddy, and to be part of his Great Project. After all, he's changed the name of teachers to illuminators, and as the immortal bard asked, what's in a name? Everything, I guess. Who the hell wants a teacher when you can have an illuminator? I myself am waiting for the Vanilla Ice Charter School. Except I read somewhere that he's in jail or something so I just may have to wait. Meanwhile, I'm gonna become a rapper. I figure I'm just as qualified to be a rapper as Puff Diddy is to start a school. After all, I've never done it before, I don't know anything about it, and I have no idea what to do about it. But as soon as Vanilla Ice gets out of jail, or wherever he is, I'm gonna get him to put his name on it. You know, like Dr. Steve did for Diddy. And maybe I won't be just a rapper. I'm gonna be a "wrapper." Yeah, that's the ticket.